David Cameron has promised a referendum on UK membership of the EU before the end of 2017. I think this will be his defining moment, his encounter with destiny, if you like, as PM, and that soon afterwards he will go. Because I speak in those terms does not mean I am a Tory voter. A lot of people find this hard to understand: that if I do not speak in terms that are condemnatory of a political party or its leader, therefore I must favour that party. This is because so many people seem to think tribally when it comes to politics. The people I know or who are friends with me on Facebook often tend to be left/liberal, sometimes tribally so. 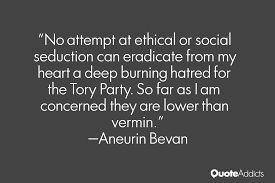 Political statements are sometimes made by them in a way that assumes you agree with them, because no right thinking person could possibly agree with the Tories on any issue – if the issue is hard to argue with, well then it is the stinky motives behind it, the ‘real’ agenda. Normally we like to think of ourselves as intelligent and civilised, because after all we probably went to university and are progressive and probably green in our thinking, but when it comes to the Tories an exception can be made, and we can call them dirty narrow-minded upper class bastards without an ounce of compassion, and vent all the hatred we build up by pretending to be liberal the rest of the time. (Politics is full of inverted snobbery – the working class is the new upper class, the upper classes are now the ‘lower’ class.) I’m not looking forward to the next 5 years of Tory hating on Facebook. And no, I didn’t vote for them. And no, I don't like the harsh, even inhuman way some of the cuts have been implemented, nor do I like the growing gap between rich and poor or tax loopholes for the rich or the way CEOs are paid vast amounts! Having covered that point (!! ), it’s time for some astrology. 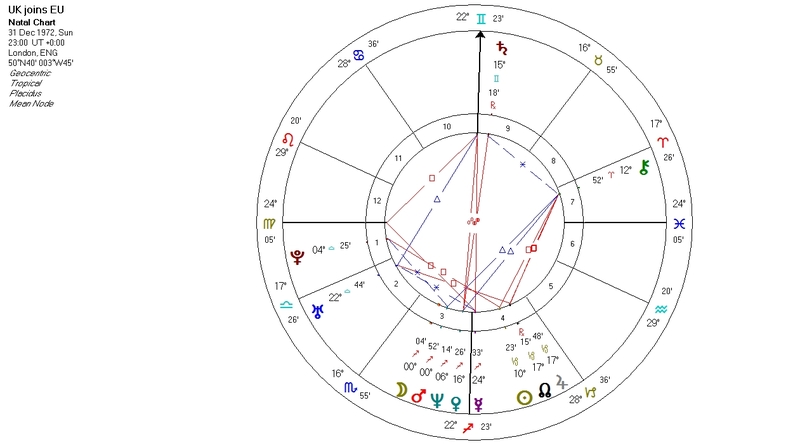 David Cameron has Sun conjunct Venus in Libra, with Asc on the cusp of Virgo-Libra; and Pluto and Uranus conjoin his Asc from the 12th, giving him a strong connection with, and influence on, the collective. 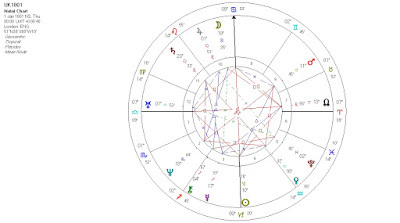 Cameron became leader of his party as Pluto squared his Asc, he became PM as Pluto squared his Venus, and now he has been given a majority in Parliament (just about – about ½ the size of John Major’s) as Pluto squares his Sun. When this transit is over, in a couple of years’ time, that will probably be it. There are 2 major issues: Scotland and the EU. Scotland, momentous as it is, will probably take care of itself: the fact that the SNP didn’t mention the ‘I’ word during their campaign proves the point that independence is their top priority. 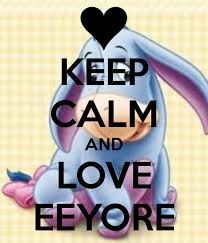 It is no longer a happy marriage, one partner wants to leave, and the sooner it can happen, the better. The present situation is artificial and surreal. 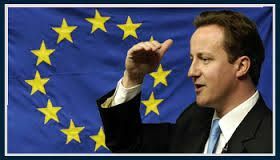 So Cameron the negotiator is having his negotiating Sun challenged and empowered by Pluto in the run up to this crucial referendum in 2017. That is why I called it his meeting with destiny, because the planets suggest it. Churchill’s meeting with destiny (he’d always had a notion that he’d be called upon one day to save the nation) took place under Neptune, redemption – both of himself and the UK. Neptune began squaring his Sagittarian Sun in the mid 30s (and as Pluto conjoined the UK Moon) as he started warning the nation about German rearmament, and his time in power finished as Neptune finished conjoining his Asc and the nation had been saved. We are now at another critical point, though our survival is not at stake. But we no longer know who we are, as Scotland starts to break away from us and we start to break away from Europe, and as we emerge from a crushing economic downturn. And I think that is why the Tories were returned with a majority: at times of crisis, nations swing to the right, to the past, to what seems to represent safety and security in an unusually uncertain world. 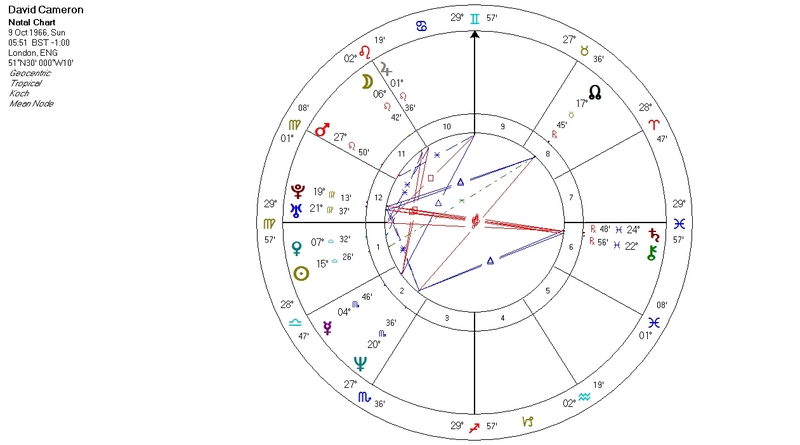 What about transits to mundane charts? We joined the EU, oddly enough, at 11pm on 31 Dec 1972 (that is when the flag went up in Brussels – it was midnight for them.) And the Sun was at 10 Cap in a stellium with the Node and Jupiter at 17/18 Capricorn. The Sun was square to Pluto, the Node and Jupiter were square to Uranus. There is plenty to unpack here. And eeyorish, insular, Capricornian Britain was expanded through engagement with foreign nations (Jupiter in Cap) and this was important for its evolution (Node). 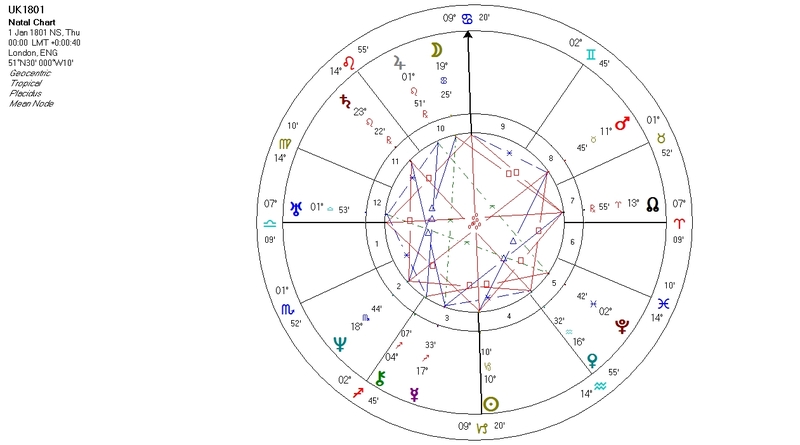 The UK is Uranian (in the 1801 chart, conj natal Asc, square natal Sun) and that awkward, ill-at-ease Uranian-ness has been carried into the EU through Jupiter-Node sq Uranus. We even had a referendum about staying in or breaking away (Uranus) 2 years after we joined, in 1975. The 1975 referendum took place on 8th June with Uranus at 28.44 Libra – Uranus will be almost exactly opposite this point in 2017. Which is almost what you’d expect. And last time it was half the cabinet (which were Labour) and the Trade Unions (again Labour) who wanted to leave the EU, whereas the Tory party wanted to stay in. This time, if anything, it seems to be the other way round. But that is Uranus for you. But the biggest transit of all in 2017 will be Pluto opposing the UK Moon. The Moon is the people, it is in the 10th House, so it is about us deciding our place in the world. 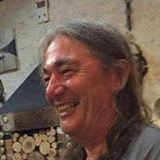 And it will be the culminating transit of a series that will have been taking place since about 2010, as Pluto and Uranus have successively hard-aspected our Angles, Sun and then Moon. It will be the end of a prolonged national crisis and renewal. 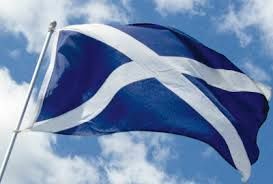 Once that decision is taken and has been acted upon (along with the seemingly inevitable Scottish breakaway), we will be able to move forward again, with a clearer sense of who we are. 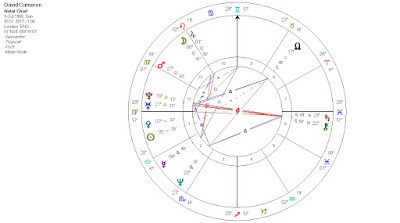 Cameron’s Sun at 15 Libra is square the UK Moon and Sun. So he is both deeply engaged yet at odds, challenging even, and challenged by, the British sense of who we are. The easy option would be to campaign for us to leave. But that is not what Cameron wants. He wants a different relationship to the EU, and many in Britain also want that. The Tory Party has been torn apart for a long time over Europe, and many want out of the EU. They will probably not be satisfied by a renegotiated relationship, but Cameron probably hopes that a referendum against them will silence them – just as it silenced some of the Labour critics, like Tony Benn, in 1975. 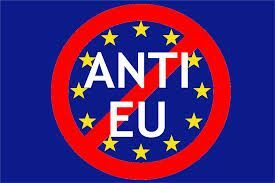 So Cameron has an entrenched section of his party to try to negotiate with, and entrenched members of the EU who do not want any treaty re-negotiations just for one member. And UKIP won more votes than the SNP, so there are big sections of the British public that need winning over. This will be his main challenge over the next 2 years, and it is a big one. If he manages to win the referendum, with a renegotiated relationship with Europe, and a Tory party that is less bitterly divided, then he will have achieved his aim. 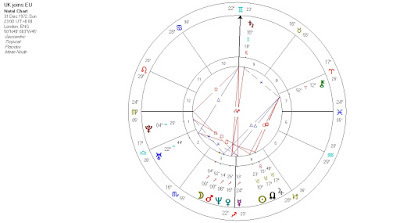 David Cameron became PM as the Great Recession bit, and he will have continued as PM as the UK passed through its series of Uranus-Pluto transits, the biggest that any of us will see in our lifetimes. So he will be seen as the PM who led us through that time of transition and crisis and into a new sense of who we are, with the referendum on the EU, which I think will go his way, being his biggest achievement. But that doesn't mean I voted for him!